The following information is translated from the Chief Rabbinate Kashrus Enforcement Unit Update 017/2014. 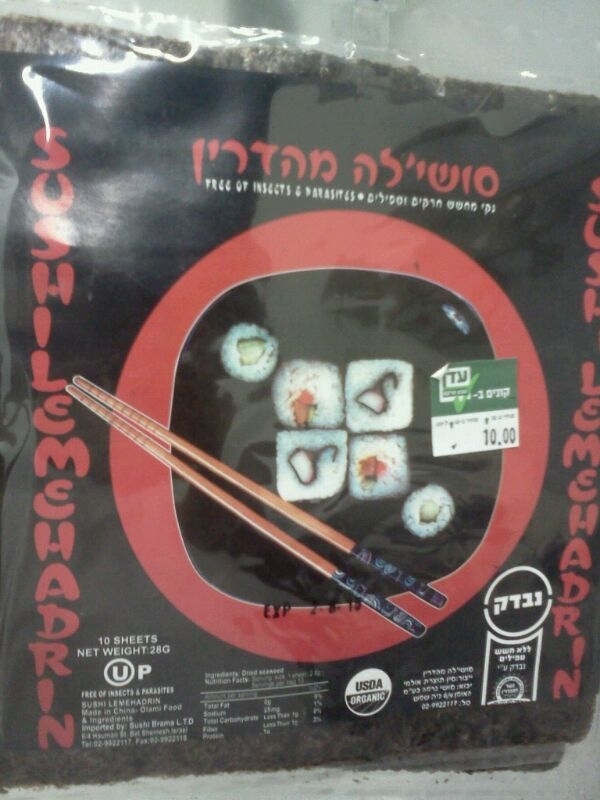 The Sushila ( סושי’לה) Company distributes sushi seaweed and the packages have a bogus kosher logo from the Institute of Mitzvos Tluyos B’aretz along with a statement “checked and there is no fear of parasites”. Officials at the institute confirm they do not supervise the product. 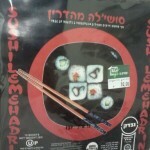 The Chief Rabbinate Import Unit adds it has not approved the product. I have contacted the OU and will blei neder update you once I have determined if the OU on the package is legitimate or not. Posted on May 12, 2014 by JKN Israel. This entry was posted in 5774 - 2013-2014, Chief Rabbinate Updates. Bookmark the permalink.